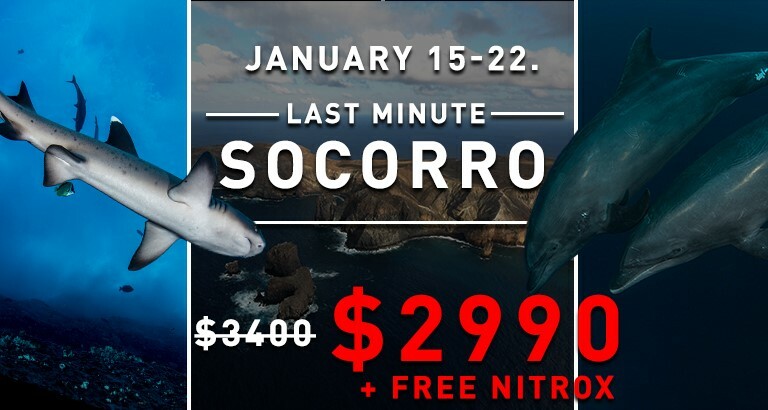 Visit Mexico’s world-famous Revillagigedo islands in 2019! 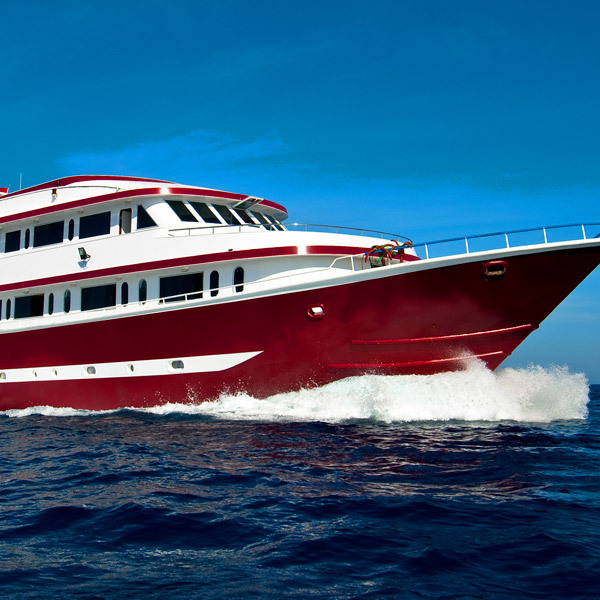 Spend a week onboard M/Y Cassiopeia and dive the awesome sites of Socorro, Roca Partida and San Benedicto! 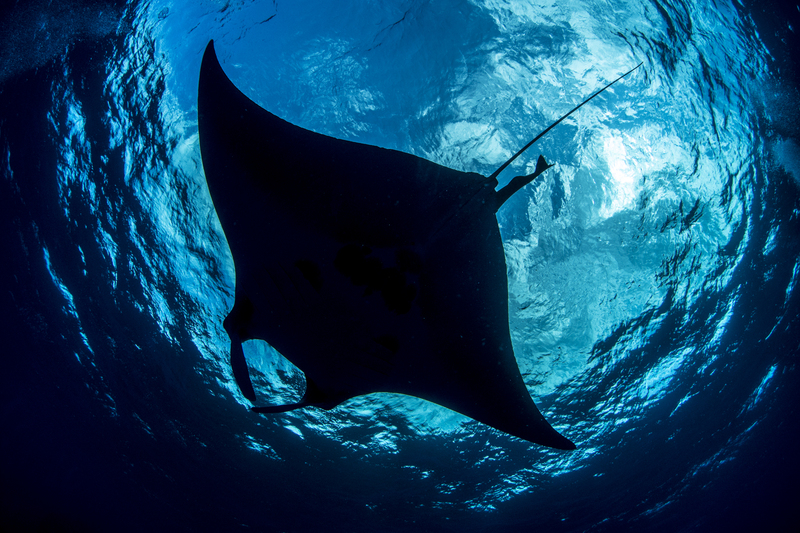 Socorro Island is well-known for its manta rays and hammerhead sharks. It is also one of the most famous places in the world to swim with humpback whales. Socorro is the largest of the four volcanic islands in the vast Pacific that form the Revillagigedo Archipelago. The Revillagigedo Islands are four volcanic islands that form an archipelago in the Pacific Ocean, which are under Mexican federal jurisdiction and are part of the Mexican state of Colima. 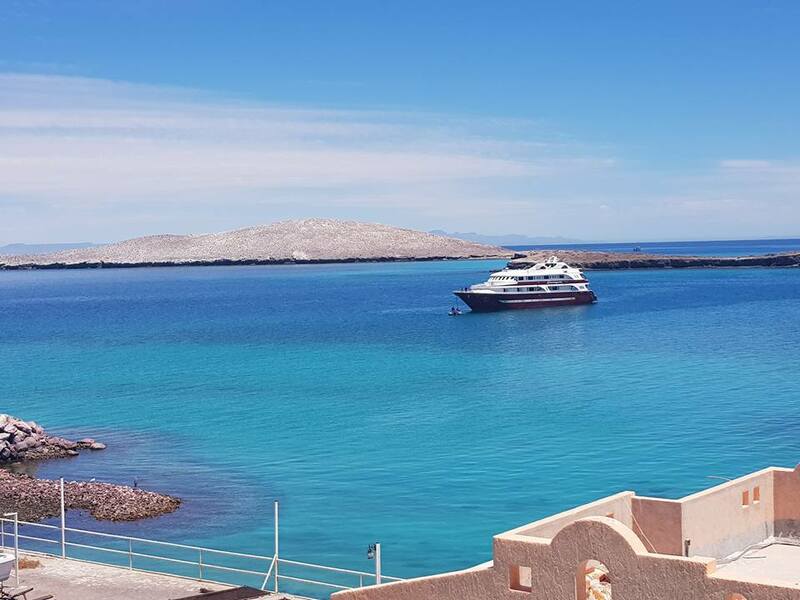 San Benedicto Island, the island closest to mainland shores, lies about 550km from the Mexican state of Jalisco, and about 400km from the tip of the Baja California Peninsula. Most of the islands’ surface is of volcanic origins with some sandy shores, with no source of fresh water (except for Socorro where a smaller reservoir can be found). Climate is very hot but not arid. 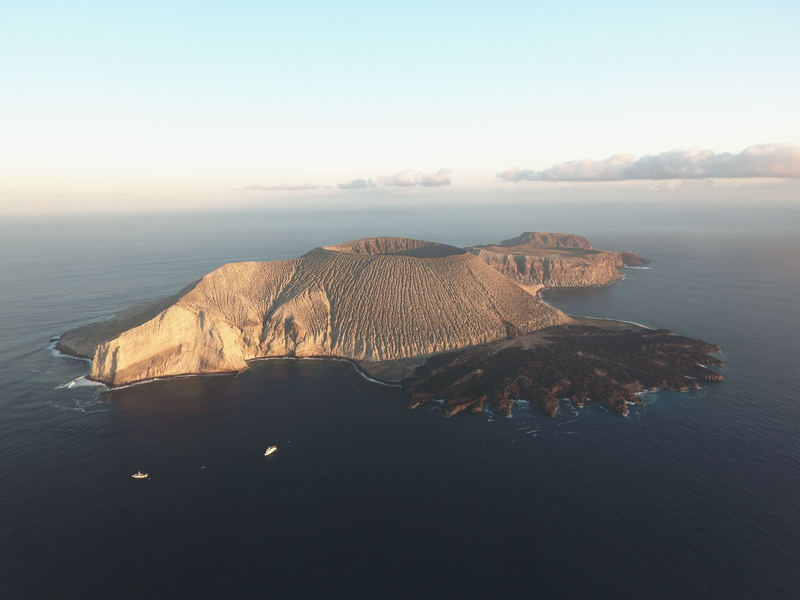 On lower-lying areas of Socorro Island, for instance, the average annual precipitation is about 600mm, and on higher grounds it can reach up to 1,200mm as well. Most precipitation falls in the summer months, and the rest of the year (from February until May) is very dry. Water temperatures in this part of the ocean are around 25°C, and the salt content of the water is the lowest in the world here, at 28‰. Prevailing wind direction is from the Northeast. The four islands were discovered on four different dates. First, Socorro Island was spotted on December 19, 1533 by Spanish sailors led by Hernando de Grijalva. A few days later, on December 28, 1533 they officially recorded the sighting of another island, San Benedicto Island. 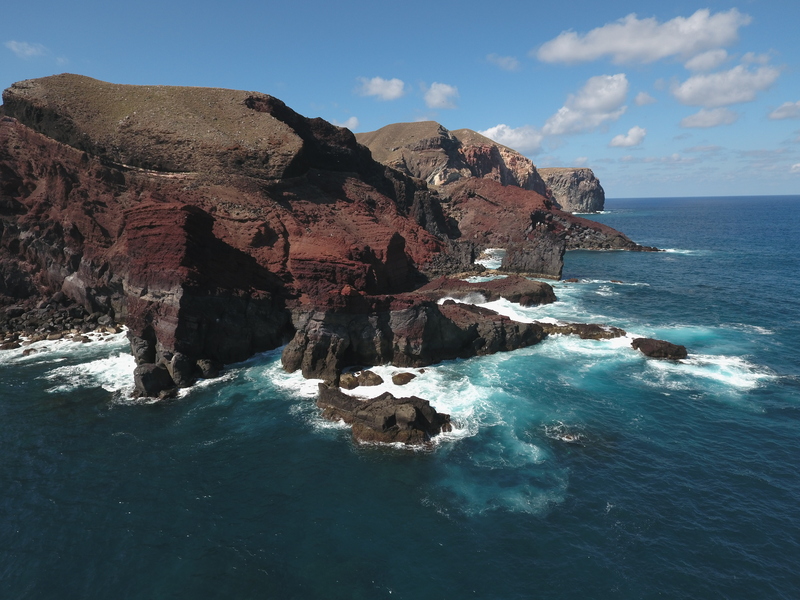 The first sighting of Roca Partida was recorded by the Spanish expedition of Ruy Lopez de Villalobis in November, 1542, and later that year, Clarion Island also came out of anonymity thanks to the same expedition. 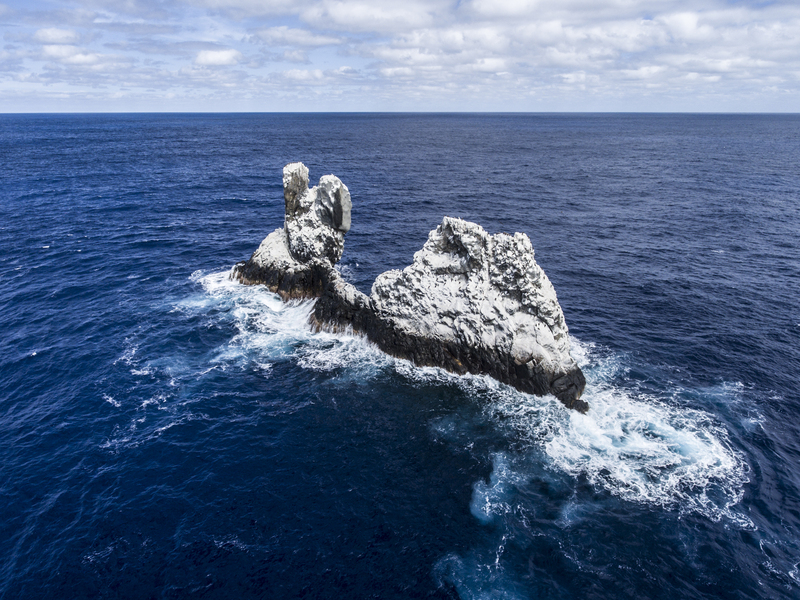 The smallest of the four islands, Roca Partida (“Split Rock”) is essentially two barren peaks that rise out of the ocean and are split by a low-lying rock area, hence the name. The island is about 91m long and 45m wide, and its taller peak ends at 34m. Of the four islands, this one lies in the middle. Clarion is 290km south-southwest, Socorro is 110km east-southeast, and San Benedicto is 135km east-northeast. Beneath it, the sea teems with rich marine life. Divers have branded this spot one of the most magnificent diving experiences in the world, and no wonder. 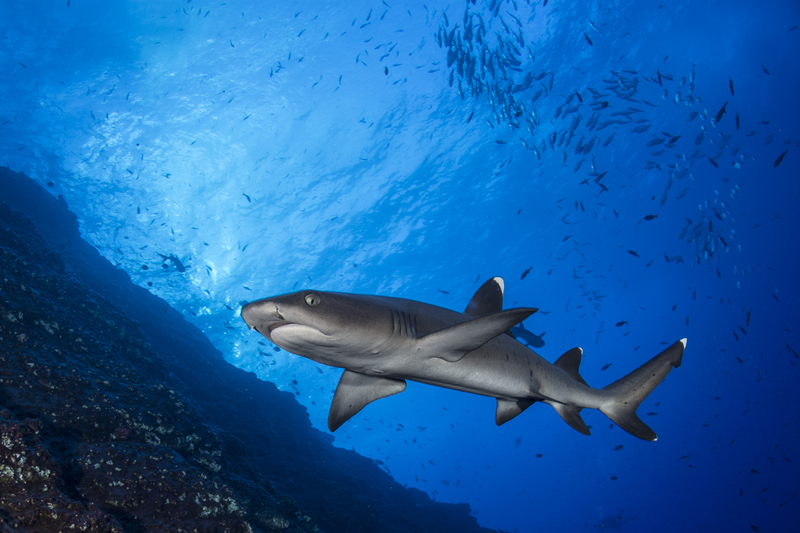 The rich eco system is home to large schools of jackfish and tuna, and schools of hammerhead, white-tip, whale and Galapagos sharks that patrol the area. Playful dolphins and majestic mantas dance in the great blue while some silver-tip sharks take refuge in the caves. This is the easternmost island of the group and closest to the mainland. It is 4.4km long and its widest part runs 2.3km. Its surface area is less than 10km2. It boasts two prominent peaks, the taller one (about 300m), on the southwestern part of the island, actually forming a volcanic crater. The smaller one lies on the northeastern part of the island. On the eastern side there is a spot for mooring. 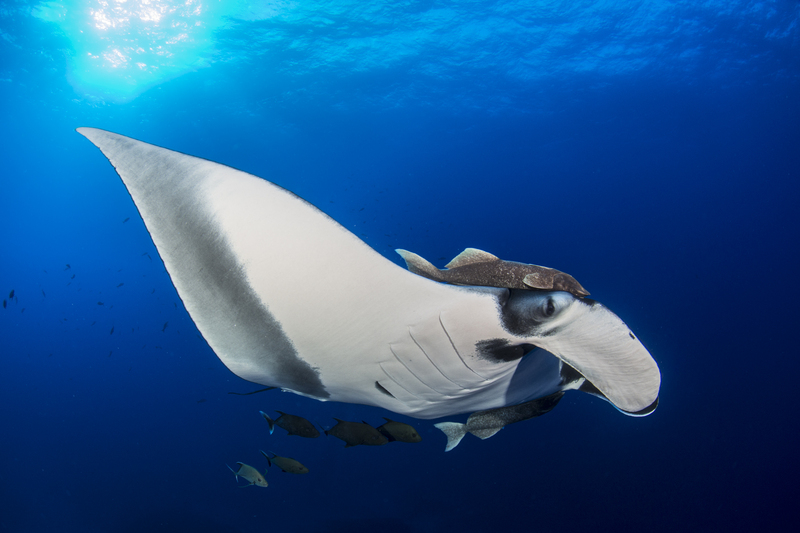 The secret of the island is The Boiler, home to giant Pacific manta rays, some with a wingspan of up to 8m. 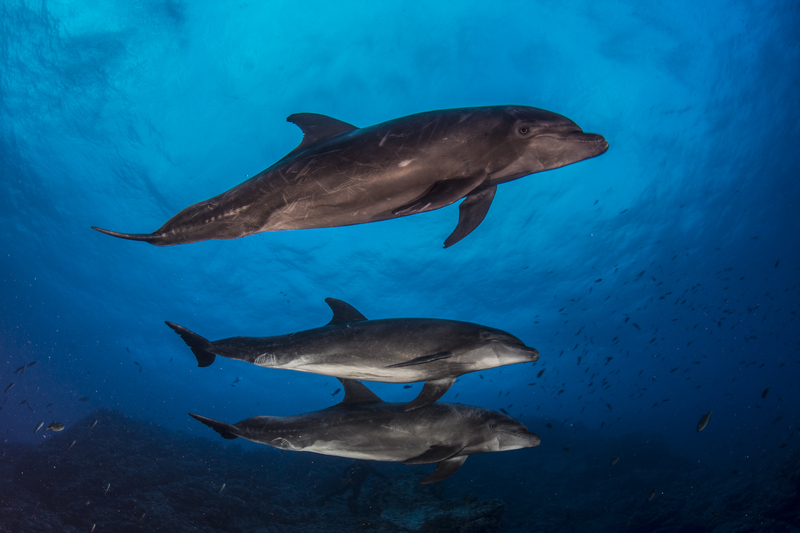 These gentle creatures meet and greet divers, curiously playing and dancing around them. The encounters with such magnificent giants leave divers with ever-lasting memories. The Canyon surprises with large schools of hammerhead, Galapagos, silky, dusky, and white-tip sharks appearing out of the deep blue. With an area of 132km2, Socorro is the largest island in the archipelago. Originally Santo Tomas, it is named after Our Lady of Perpetual Help (Virgen del Perpetuo Socorro). The island is a volcano (Mount Evermann) that rises out of the ocean to a height of 1,050m above the surface, making it the tallest of the four islands. There is a small naval station on the western side of the island and a small village where the staff and their families are stationed. The village is served by a dock, a medical centre, a school, a church, and a canteen. There is a small fresh-water spring and also a distillation system for producing drinking water. The steep western shore walls hide numerous caves that had been carved out by the force of the ocean. The island serves up delightful dive spots for adventure seekers like Cabo Pearce with its playful dolphins. The show of black and chevron mantas, silky sharks, and humpback whales whizzing by in the strong currents can be enjoyed from the protection of the boulders. Punta Costa’s medley of corals and gorgeous tropical fish shine in brilliant colours. The mysterious tiger shark makes its presence known while dolphins and torpedo rays provide lively entertainment. 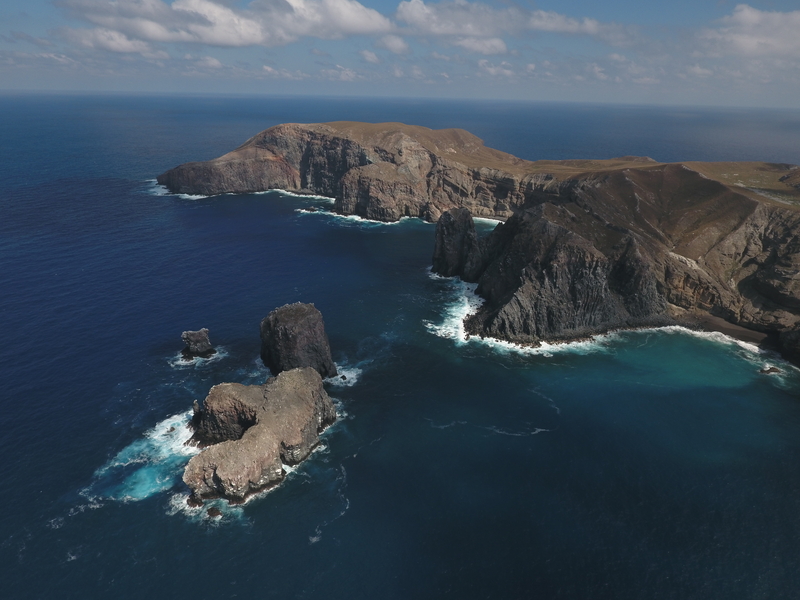 Roca O’Neil is home to a large school of scalloped hammerhead sharks. Silk, silver-tip, Galapagos, and grey reef sharks round out the eclectic mix with various species of tropical fish hovering over the reef. Diamond sting rays majestically fly in the blue, always ready for a chance encounter. The ancient city of ruins Teotihuacan, lies in the northeastern part of the Valley of Mexico in the state of Mexico (about 40km from Mexico City). Its Mesoamerican pyramids are not the only attractions. The expansive residential quarters, the Avenue of the Dead, and the well-preserved colourful murals all bear anthropological significance. The mere size of this ancient city makes it an impressive sight. Its name roughly means “The place of those who have the road of the Gods” (Thelma D. Sullivan). The history of the city is not clear but one thing is for sure—the Aztecs “inherited” this magical place way after it had already been completed (but already in some ruins). 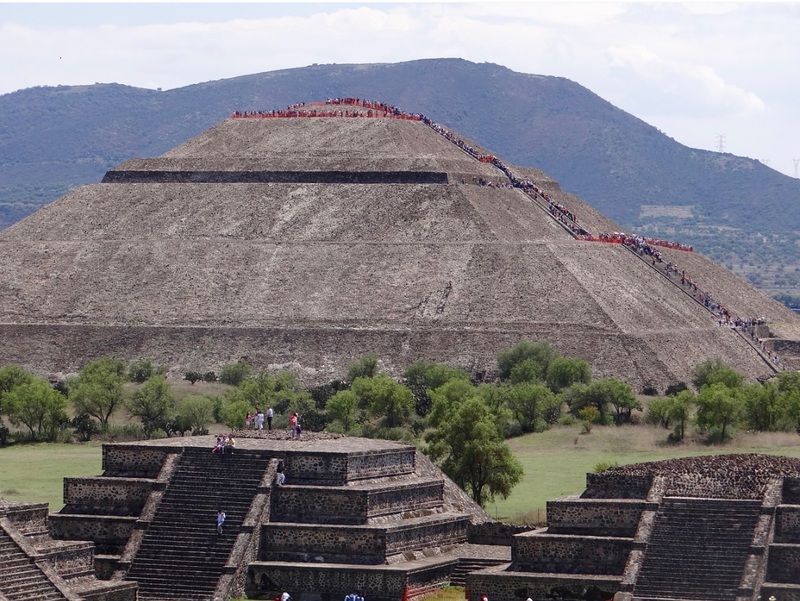 The two prominent features of the city are the Pyramid of the Sun, and the Pyramid of the Moon. The ancient city’s original area covered about 20km2. The section of the Avenue of the Dead (starting from the Pyramid of the Moon), that had been uncovered to this date, is also kilometres long. While the buildings in Teotihuacan are not very decorated, it is these dark and blackish colours and the echo reverberating among the buildings that make it so eerie. And when standing at the foot of the Pyramid of the Sun, you have the same feeling, and with reason, just like the Aztecs did, that this structure was not created by man. It is the third largest known pyramid in the world. According to archaeologists’ measurements and calculations, the base area of the Pyramid of the Sun is believed to be the exact size of the Great Pyramid of Giza’s base area. The top of this pyramid provides the best view onto the entire city. In the north of Mexico City is where you will find the Basilica of Our Lady of Guadalupe, the most important pilgrimage site in North America for Christians. 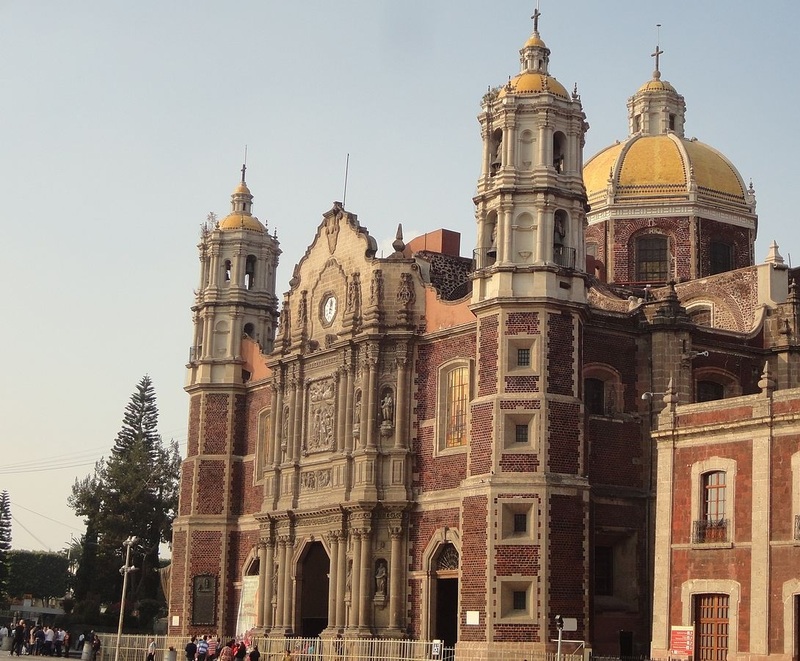 It is also called La Villa or La Villa de Guadalupe as it has several other buildings and three magnificent churches. 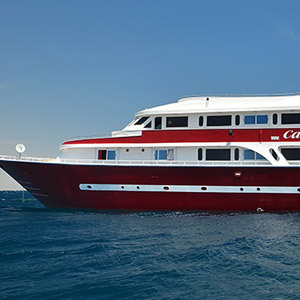 We look forward to welcoming you onboard M/Y Cassiopeia in Mexico too!